Stop washing virgin hair extensions by some wrong behavior, have you done? Washing virgin hair extensions is simple. Here is some wrong behavior you should stop washing your hair extensions at away. ●what wrong behaviors would damage your Remy hair weaves. ●How to wash hair extensions in right way. First of all, let’s talk about what wrong behaviors would damage your Remy hair weaves. 1.Washing hair too frequently would make virgin hair bundles become dry and terrible, what's worse, it also can lead to hair shedding.The reason is that using too many chemicals, heat and lack of moisture, which lead our hair extensions to become dry after the first few washes. 2.Before washing your hair without comb the remy hair extensions, because this can make the hair more smoothy instead of knotted, which can decrease hair shedding, meanwhile it can keep its luster and bouncy. 3.Apply hair shampoo products too much early.It is not enough to wash your hair hundred-percent, and it may influence its use life. 4.Comb hair when it is still wet.When it is wet, the hair is too weak to need more protected, if you comb it now, your hair would loose her bouncy. This way of washing hair bundles with closure is too terrible to protect your human hair pieces.Have you done?I hope the answer will be not.Don’t worry,I will show you how to wash hair extensions in right way.Follow me. 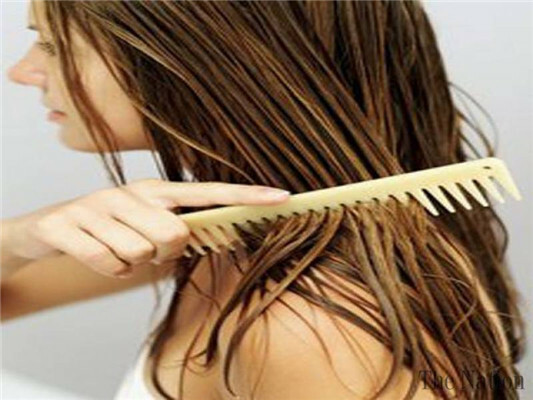 1.Divide your hair into two sections, gently de-tangle with a paddle brush or wide toothed comb. 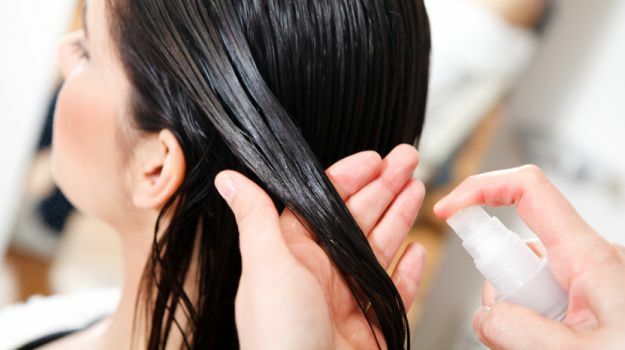 2.Once the hair is wet enough, apply a small amount of moisturizing shampoo in a downward motion to remove the initial dirt and excess oils from your human hair extensions. I recommend herbal shampoo because it stops weave from feeling brittle and dry. 3.Apply a good conditioner to the hair, again in a downward motion.You would better apply the hair conditioner when the hair doesn't have too much water. And then leave it in for about 15 minutes and rinse. Just be sure to rinse thoroughly to prevent product build-up. 4.Finally, it is probably best to air dry the virgin hair bundles or sit under a dryer. Some people add leave in conditioners or oils to the hair before they dry it but I find this unnecessary, as we would have already moisturized with the conditioner. It is imperative that your tracks are dry before you leave the house or go to bed, otherwise, they will fester and you get that funky smell! I sincerely hope these right washing steps will help you get shinning and fluster hair weave and you can try it!. If you have any other good methods of maintaining virgin Remy hair, please share your tips with us!Thanks for your watch!